We have a money-saving alternative for you. 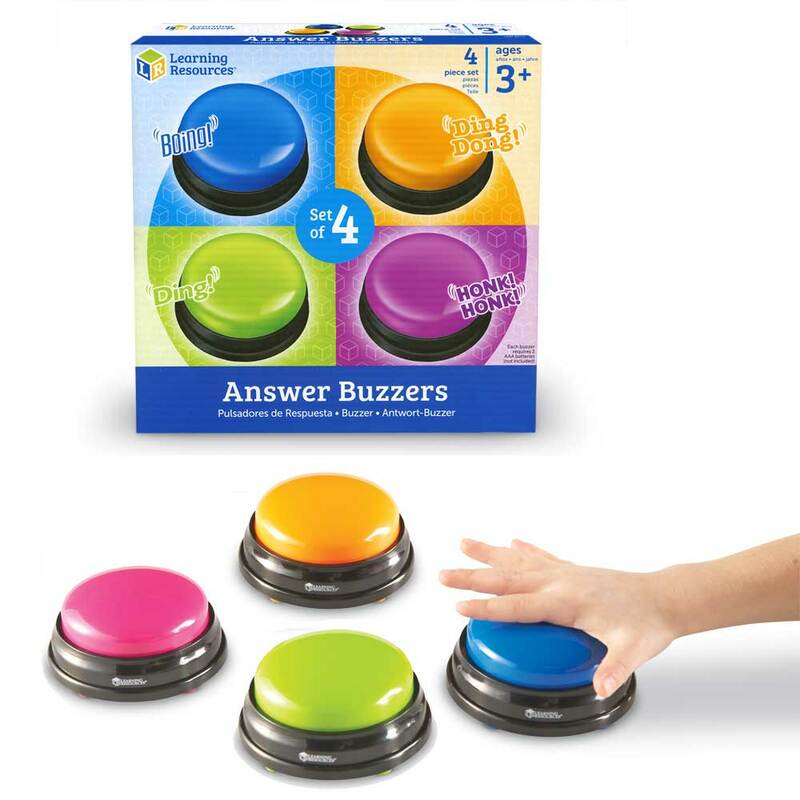 The Answer Buzzer turns any lesson into a game! 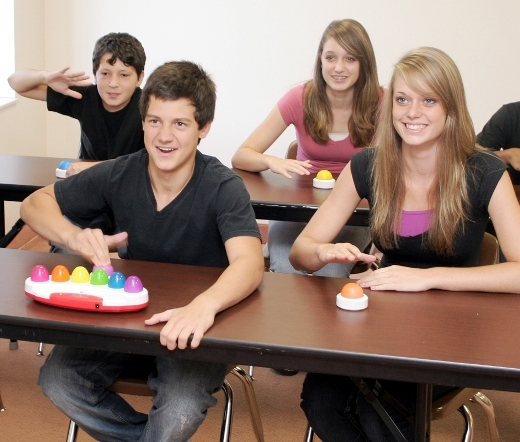 There is a choice of four distinct and fun sounds–horn honk, boxing bell, doorbell and boing. Your kids will love it. It gets students actively engaged as you assess them. Features four different colors, measures 3 inches in diameter and requires two AAA batteries per unit, not included. I purchased these buzzers myself a couple years ago and have found so many fun uses for them in the classroom. My colleagues liked to borrow them so I bought 2 more sets as gifts for my fellow Spanish teachers. Good quality item and the cost is decent. Easy to use. Just depends what you are using them for. 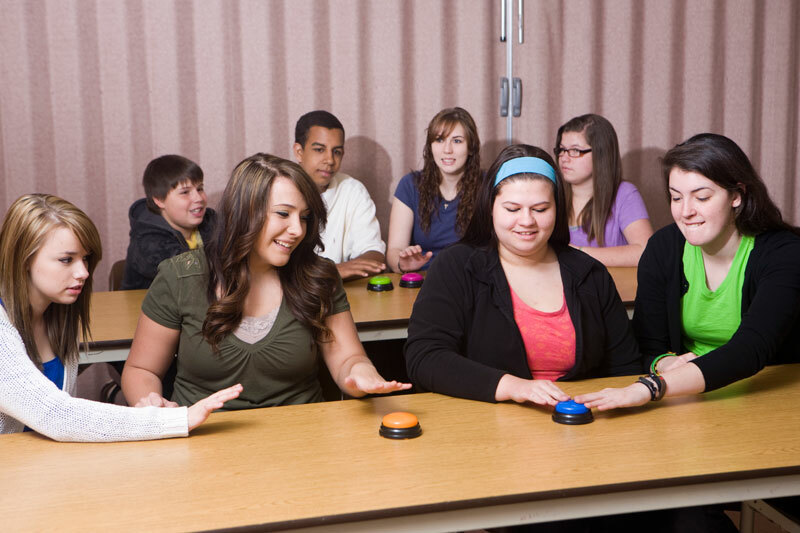 The students love these buzzers, a little too much actually!